Tornado Elite 30 inch 30 inch Convertible Wall Mount Range Hood with a Stainless Steel and Glass Canopy Turn your kitchen into the example of excellence with the Ancona Tornado Elite 30 glass canopy wall mount range hood. Made from the highest quality stainless steel and tempered glass, this delicate design provides functionality as well as elegance to your kitchen. Featuring easy-to-use 3-speed electronic touch controls with a convenient auto shut-off function, eco-friendly LED lights and baffle filters that reduce all odours, smoke and moisture. 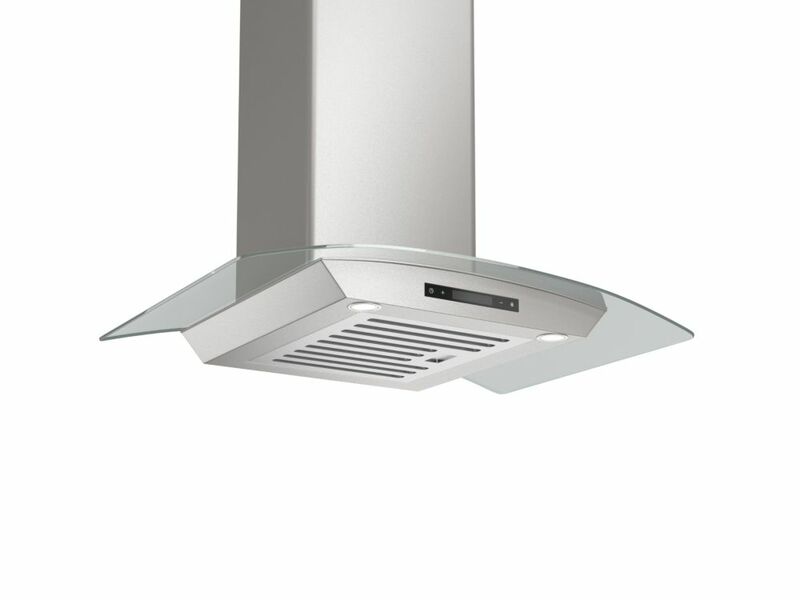 This Ancona range hood combines performance with style.